Apply a base colour to your nails, then apply crème colours or crème jelly nail paint to your nails. Avoid using shimmery colours. Then make 3 diagonally dotted lines on your nails. Make them again to make a square on the nails. Onto these dots you may dray a heart. 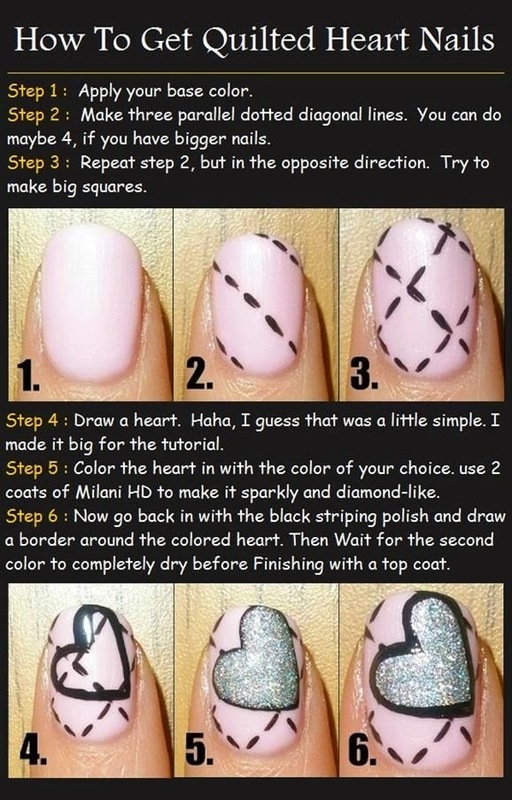 You can also use a black coloured nail paint to draw the heart. You can then colour the heart with your choice of colour. Say you can fill it with silver dark shiny nail paint with glitters on the top.